Educational Meeting will be held on "The Order of DeMolay"
The Lodge will hold a Fundraiser Breakfast on Saturday, April 13, 7:00-10:00 am. Proceeds will be divided among the newly formed School Projects Charity, the Grand Lodge Widows’ and Orphans’ Fund, and the Lodge Building Maintenance Account. Suggested donation is $7.00 per person, all you can eat. Come support your lodge and enjoy fellowship with your Brothers. 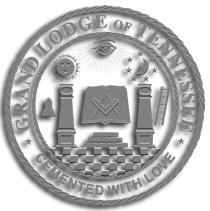 Bright Hope Lodge Honor Day Dinner for our Twenty-five-, Fifty-, Sixty-, and Seventy-five-Year Members, Past Masters, and Masonic Widows will be Sunday, May 19, at 1:30 pm and is open to all family and friends. Join us as we celebrate these members of our Masonic Family. District 20 Officers’ Association Meeting, Wed. Feb. 20, Burlington Lodge No. 763 – come help us retain the Travelling Gavel! Bright Hope Lodge Official Visit, Thurs., June 13, Officers and Cardholders must attend. Anyone intending to try for a card, contact the Secretary. Recently, while searching through the records of Bright Hope Lodge, a copy of bylaws was found dated 1905. These bylaws had been submitted for consideration by the Lodge, by a committee of Bros. JW Drummond, SL Tillery, and WM French, and were subsequently approved. Included in the copy were handwritten changes and comments.